Nintendo 3DS is the true successor of Microsoft's Kinect and Sony's PlayStation. It totally stole the E3 2010 show with its stereoscopic 3D display. 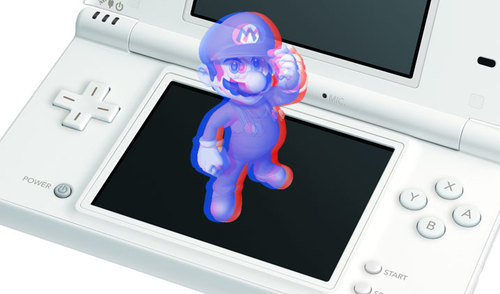 The most attractive feature of Nintendo 3DS is you do not need any glasses to see the 3D effects. 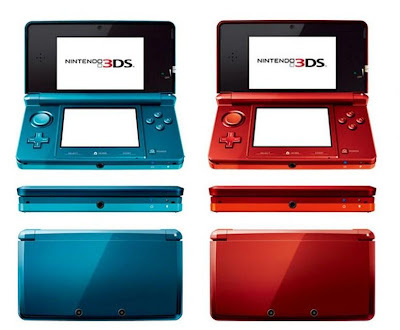 The bottom screen of Nintendo 3DS is a 3.02-inch normal touch panel, whereas the upper screen is slightly larger than the lower screen. The 3.53-inch upper screen display uses lenticular technology. It means that you can get the 3D effect of 3DTV without those hideous glasses. It is like seeing a miniature world through a very small window. It has a pin-sharp 3D effect and a resolution of 800x240 pixels, but it is effectively split into 400x240 pixels per eye. It will not strain your eyes and you will not get any ghosting effects like movies. It is certainly better than 3D Sony Bravia with the clearest and cleanest 3D. 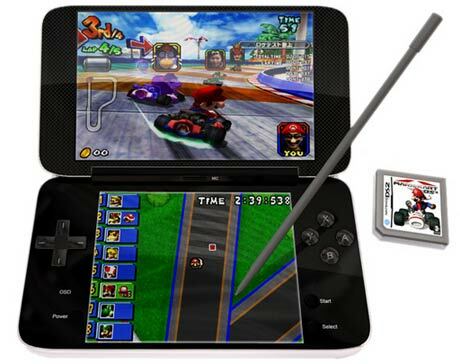 Nintendo 3DS has a graphical power boost and graphically it will surpass the PSP without any effort. When we saw the famous PS2 title called Snake Eater running in Nintendo 3DS, the remake version looked superior to the original PS2 version even in its early form. PilotWings Resort game demo showed the incredible depth of the small screen. While flying a game in the 3D environment the ground looks far, far away, while your plane and the objects near it stood out. Making acute judgments in your games is made easier. 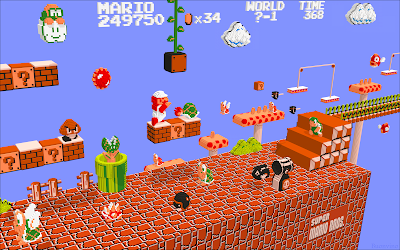 It is easier to fly under the bridges and through the hoops because you are armed with real life depth perception. 3D is one of the many clever tricks offered by this little gadget. The box has an accelerometer and a gyroscope sensor which means you can detect the positional and tilting movement like Wii Remote. 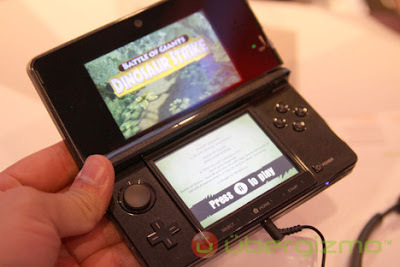 Nintendo 3DS has an enhanced wireless communication feature, which seeks out and communicates with the other 3DS units. It also allows you to trade details like items or scores with other players. If you want this feature in the current DS you have to run it in a special mode of communication. You can see two camera lenses on Nintendo 3DS's outer casing. 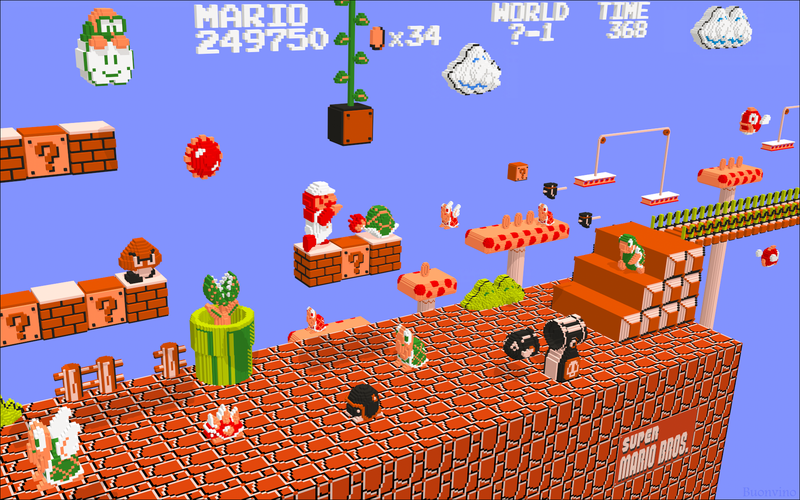 It appears strange but you can take photos with 3D effects at a resolution of 640x480 pixels. The augmented reality demonstration in this device is even more impressive. It recognizes a Nintendo sticker and on screen it creates a 3D dragon. You can also move the 3DS and recognize the dragon from any angle. The third camera in this device lets you take 2D photos. It has a 3D slider similar to a volume slider that lets you adjust the 3D depth. The Slide Pad contains an analog control, which is far more comfortable and usable than the analog stub in the PSP. 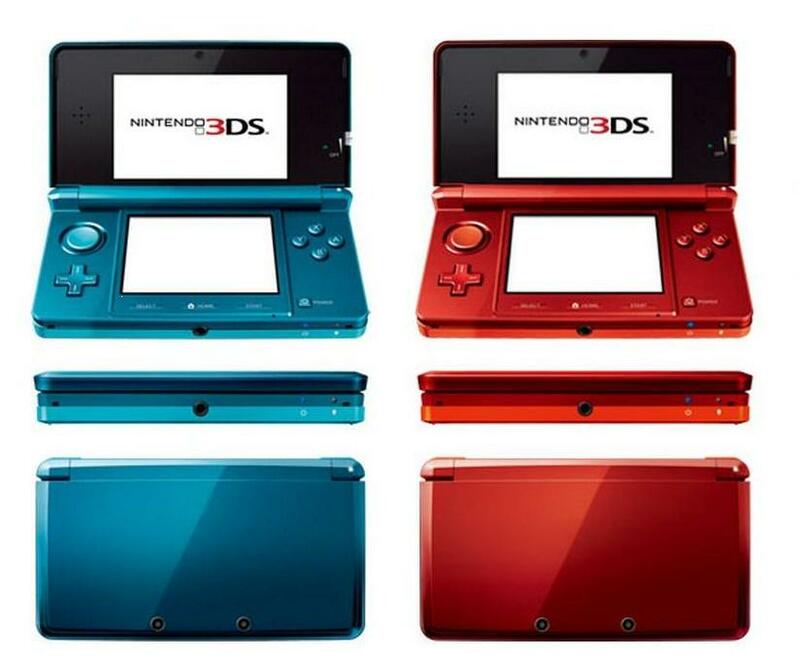 Nintendo 3DS is one of the most exciting gaming hardware with incredible 3D effects. You can expect some revolutionary games which uses this device's many clever features. Matt Anton is an avid player and journalist of video games. He enjoys blogging about all things in the tech industry, specifically related to game news. He is best known, however, for his contributions at http://GameFriends.com - The Video Game Social Community for Gamers.